Have you come across some gold in your home? 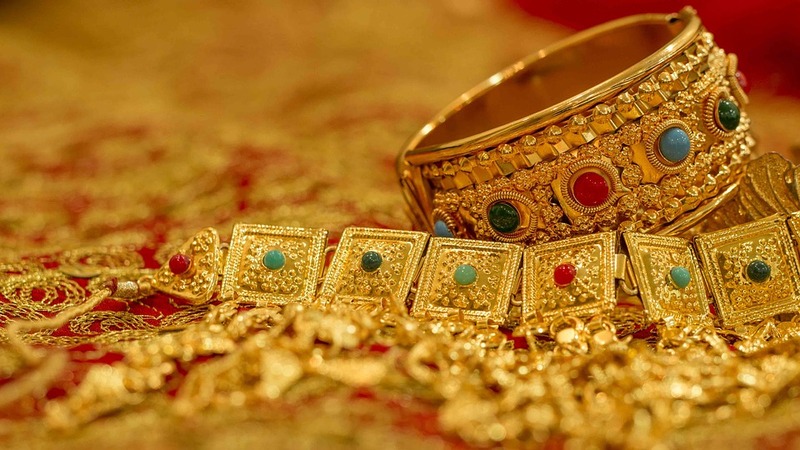 Are you suspicious that it may not be solid gold and could be gold filled or gold plated? Here are 2 ways to test if your gold may not be 100% authentic. The first step in determining if your gold is real, is taking a good look at it. Search for particular signs that point to real gold. Use a magnifying glass to check the piece for official markings. Be aware that older pieces may no longer have visible markings due to wear and tear. Also, counterfeit pieces may have markings that appear authentic. The magnet test is quite simple, but is not all-encompassing or fool-proof. Hold a magnet up to the gold item. Gold is not a magnetic metal, so if it pulls towards or sticks to the magnet, it’s fake. However, just because it does not react to the magnet does not mean that the item is in fact gold. If the clasp or lock attracts to the magnet it is because there are small springs inside that are not gold, however if the rest of the bracelet, chain or necklace does not react chances are it will be gold.